Our commitment to unsurpassed service has earned us a well deserved reputation as Adelaide’s finest cleaning service. Our team operate all over Adelaide and are always ready to take your job. 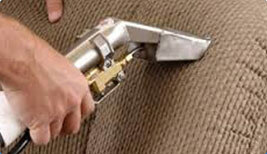 We pride ourselves on being on time and doing the job right for Carpet Cleaning Adelaide. Enjoy the fresh clean look as well as the health benefits of eliminating harmful allergy-causing dust and dirt. Our work is guaranteed, and with over 18,000 completed jobs to date our reputation and service speaks for itself. All products used are environmentally friendly and allergen tested. With provide a 30-day warranty on our cleaning services, and we want you to know that your carpets, rugs and leather or beautiful fabric upholstery will be steam cleaned by top-notch professionals to the highest standard – and they will be walking on dry when the job is completed by Adelaide’s Best Carpet Cleaner. Our guys are serious about wanting every job they do to be the very best they can, week in and week out. It is a genuine service we offer seven days a week in Carpet Cleaning Adelaide even 24 hours if someone has an emergency like a nasty accidental spill or flooding for example. Most people have an item or two that they especially love, which we recognize, and we take great care of every single item in every home or office that we steam clean. Every one of our technicians undergoes intensive training in the use of our very up-to-date carpet and upholstery steam cleaning equipment. 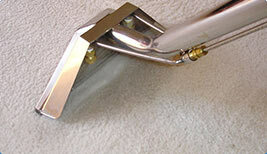 All of which is mounted in our clean and polished vans. The vans also have powerful mounted generators so that we don’t need to use a customer’s power supply. Or their water (for steam) for that matter, we also carry that on board! Being fully Certified and Bonded with the Institute of Inspection Cleaning and Restoration you know that our services are reputable and reliable – trust is so important in this business. It may well be why so many customers recommend us to their friends and neighbors, something we are very grateful for. 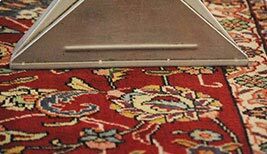 If you are looking for carpet, rugs and upholstery steam cleaning in Adelaide – any day of the week, then just give us a call on our toll free number 1800-75-60-75 . Or use our comprehensive online form right here for a free no obligation quote. 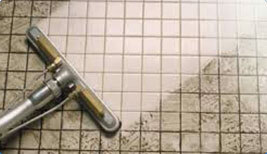 We have been offering outstanding services and prices for Carpet Cleaning Adelaide since early 2007. Over this time, we have built our reputation on quality work and a commitment to customer service. To exceed our customer’s expectations, we always invest on best equipment’s, staff and training while using only top-quality eco-friendly products. This means you can be sure our work will be of the highest quality! That’s why we offer our 100% satisfaction guarantee with every job!